Recently I read a heart warming blog post from ‘What Olivia Did’ about bloggers and Youtubers she loves! It is really kind and warms my little old soul to see some love spread around this blogging community. 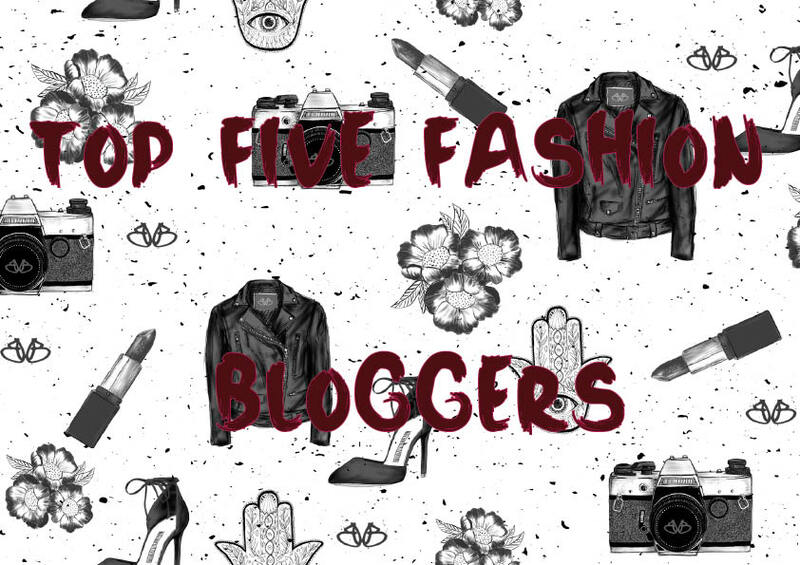 So today I thought I would spread a little more and tell you about the fashion bloggers I love. The ones who’s outfits of the days I’m creepin’ on and who’s wish list become my online orders. 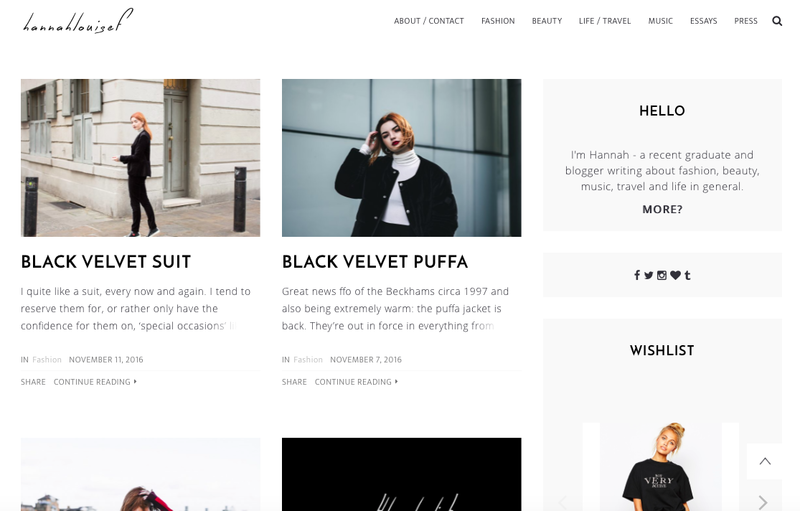 Starting with HannahLouiseF (Website Here), this incredible fashion blogger makes me wanna shop till I drop, she always shows really unusual pieces and great tips for styling. Recently she uploaded a post all about the black puffa velvet coat. Now since my mum stopped dressing me I’ve never worn a puffa coat and quiet frankly I hate them. however I seen the one Hannah showed on ASOS but thought I wouldn’t suit it and quiet frankly that I would look lame in it, but I was intrigued by it. But after seeing Hannah rock it I am going to give it a go, even though I won’t look near as cool as she did, how she has styled it is making me want to test the waters of puffa coats. 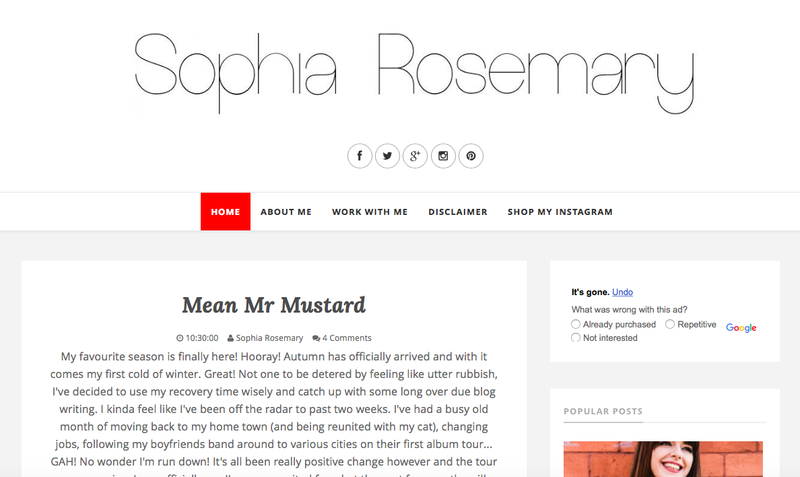 Next we have is Sophia Rosemary (Website), this girl with nearly every outfit makes me want to be in the swingin’ 60s, I’ve noticed a lot of her outfits have a hint of 60s in them and this I love. I just wish I could pull of these shaped garments. She wore a pretty hot mustard yellow swing dress with a beautiful fluted sleeve, this is just something I wish I could wear. Even though I read a lot of fashion bloggers and get lots on inspiration and love what they wear it isn’t always for me and I admire it on someone else. I love lots of styles and especially the 60s but I’ll leave it to Sophia to rock! 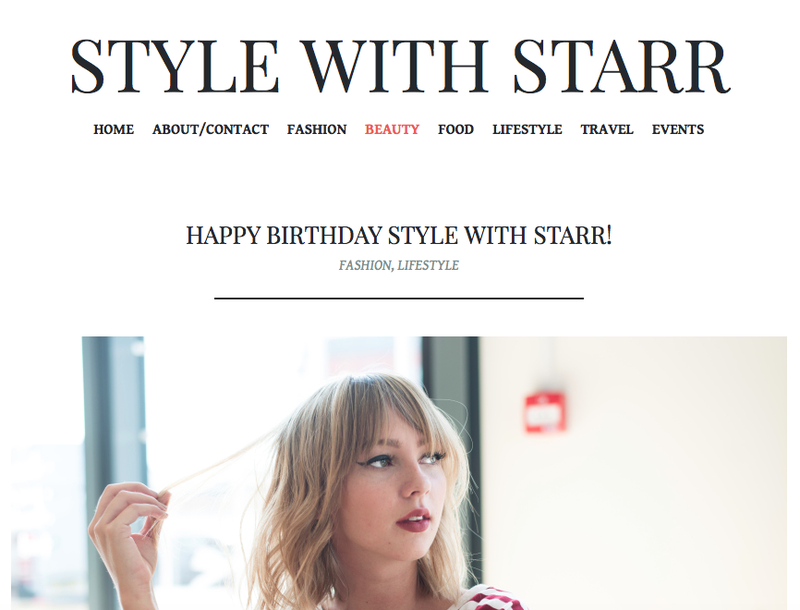 Stylewithstarr (Click Here) – Clair an incredible fashion blogger you have to check out if you haven’t. I recently found her on instagram and since that moment I’ve been in love. From stripes shirts to backless dresses this girl can rock them all! A personal favourite was her one of her recent fashion posts (that’s right she doesn’t just do fashion) was ‘Creepin’ It Real’ – a title I wish I had thought of lol. The black heavy velvet dress pair with choker and leather jacket just screamed me! 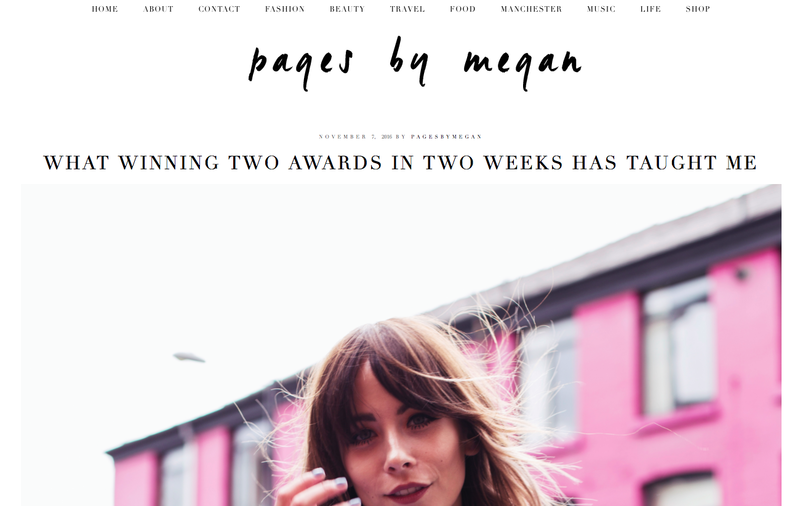 Now for PagesByMegan Here and incredible fashion blogger that if I didn’t mention her it would be rude! She can make anything look good. If you don’t really have a style and like to able in a bit of everything Megan is your girl. I love how versatile her style is and how she doesn’t just stick to one thing she tries and tests out everything. One of my favourite pieces Megan wears are these metallic red boots from Urban Outfitters, I have been trying to get my hands on them for so long now! Now I’ve saved the best till last and no this isn’t biased because we are besties. 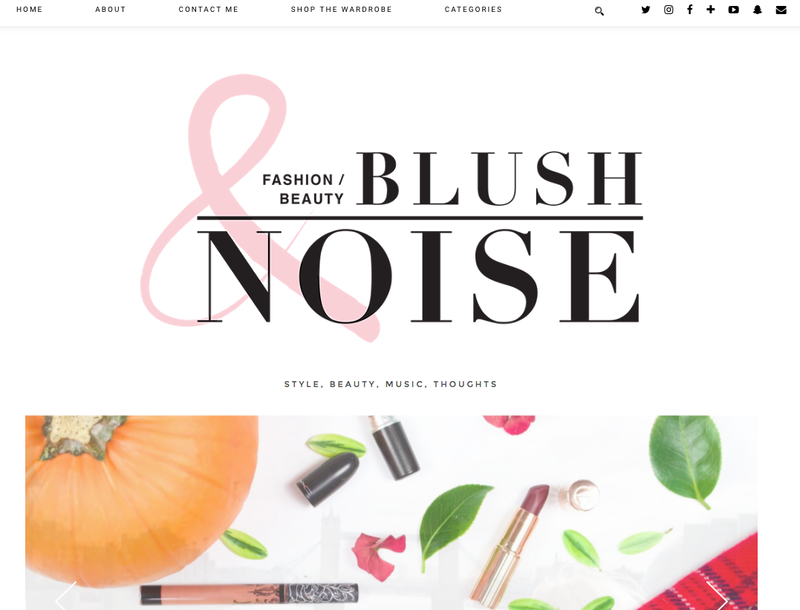 My last favourite fashion blogger and youtuber is Miss Abigail from Blush&Noise. No need for me to introduce her I’m sure you’ve heard me mention her here, there and everywhere. She puts together the most beautiful outfits ever. She mixes and matches and can create something insane with click of her fingers. She so effortless but just look so “on point”. Abbie is your girl who’ll throw something on casually and I’m not just talking jeans a a scruffy old top. She literally looks ‘ a million dollars everyday’. Just check out her fashion page and you will understand why I girl crush so much! More from her Over Here ! Next Post Best Of Drug Store Beauty!